The CCN Counter is a continuous-flow thermal-gradient diffusion chamber for measuring aerosols that can act as cloud condensation nuclei. 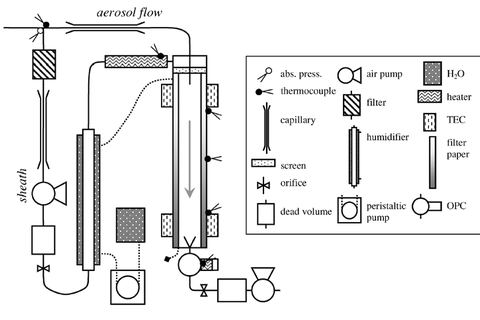 The CCN-100 draws an aerosol sample into 50-cm tall column, while the CCN-200 features two identical such columns. 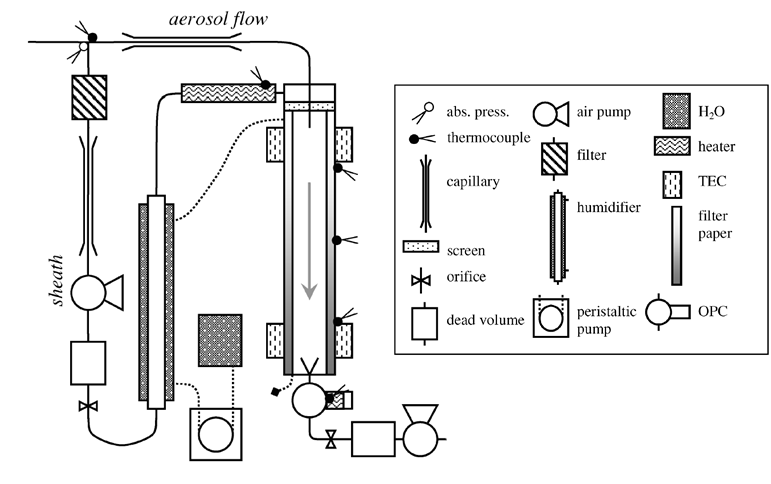 Inside the column(s), a thermodynamically unstable, supersaturated water vapor condition is created by taking advantage of the difference in diffusion rates between water vapor and heat. Water vapor diffuses from the warm, wet column walls toward the centerline at a faster rate than the heat. The wall temperature along the column gradually increases to create a well-controlled and quasi-uniform centerline supersaturation. Through software controls, the user can modify the temperature gradient and flow rate to change supersaturations and obtain the CCN spectra. 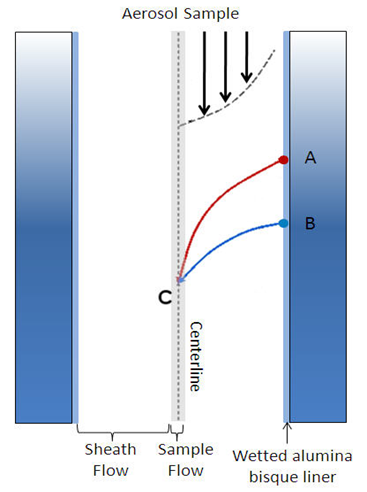 In the figure at left, we show point C along the centerline where the diffusing heat originated higher on the column (red-line, point A) than the diffusing mass (blue line, point B). Assuming the water vapor is saturated at the column wall at all points and the temperature is greater at point B than at point A, the water vapor partial pressure is also greater at point B than at point A. The actual partial pressure of water vapor at point C is equal to the partial pressure of water vapor at point B. 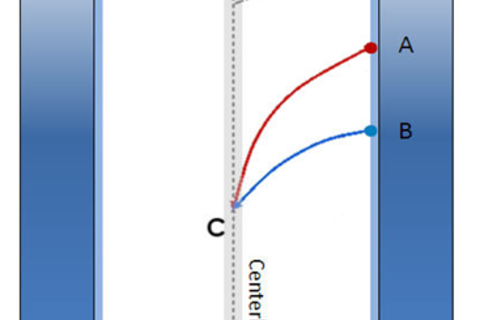 The temperature at point C is lower than at point B, however, which means that there is more water vapor (corresponding to the saturation vapor pressure at point B) than thermodynamically allowed. Seeking equilibrium, the supersaturated water vapor condenses on the cloud condensation nuclei in the sample air to form droplets, just as cloud drops form in the atmosphere. An Optical Particle Counter (OPC) using side-scattering technology counts and sizes the activated droplets.